Stoneman Douglas High school student says he approves of Governor Rick Scott's proposals for addressing gun violence and reacts to his fellow students' calls for new gun control measures. Florida Gov. Rick Scott is facing a growing number of calls to remove Broward County Sheriff Scott Israel from his position over the department’s response to the high school shooting that killed 17 people. Florida House Speaker Richard Corcoran, R-Pasco County, sent a letter to Scott on Sunday asking the governor to suspend Israel. A day earlier, State Rep. Bill Hager, R-Boca Raton, urged Scott to relieve Israel from his duties for “neglect of duty and incompetence," the Palm Beach Post reported. Hager cited reports from the media that several Broward sheriff’s deputies waited outside rather than rush in as the alleged gunman, Nikolas Cruz, gunned down students. The Valentine’s Day shooting unfolded at Marjory Stoneman Douglas High School in Parkland. 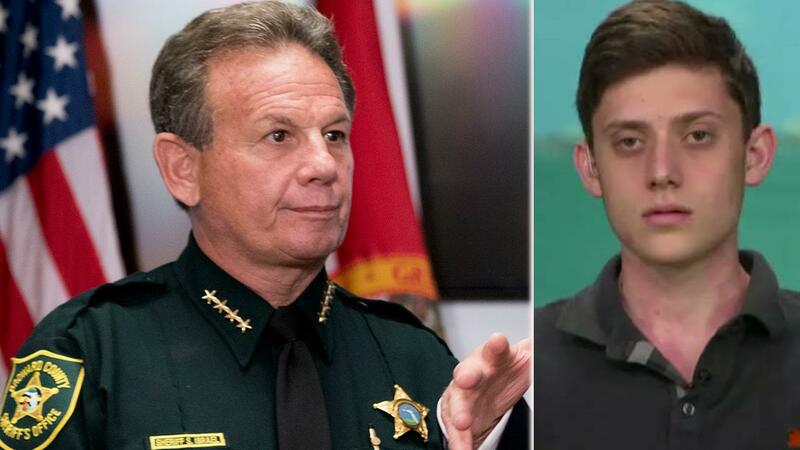 The allegations emerged a day after veteran Broward Deputy Scot Peterson resigned when reports emerged that he failed to enter the school and confront the gunman. Peterson had been assigned to guard the school. Fox News’ Robert Gearty and Leland Vittert contributed to this report.